“If you are looking for the cheapest solution to your musical entertainment needs, Steelasophical is not the right fit for you. Brides see our value and consider us an essential investment in their day, rather than a nice to have expense. Our exceptional entertainment services will make your day uplifting, unforgettable, fun, relaxing and amazingly successful. 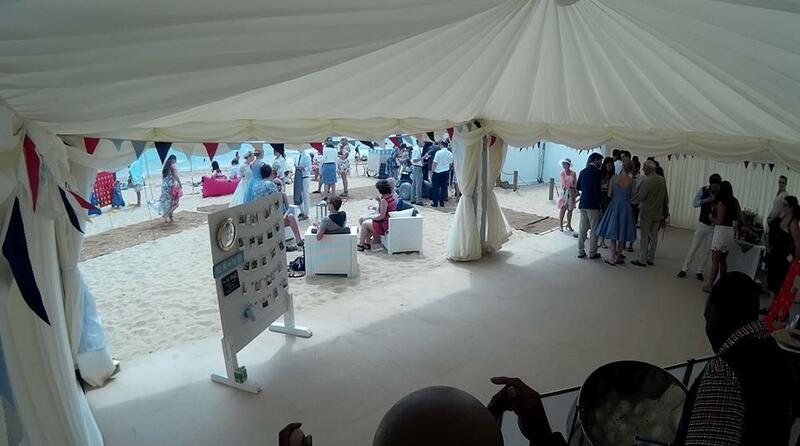 “We bring the Caribbean to you” and where better than Beach Weddings Bournemouth, on the only wedding ceremony venue located ON the beach. 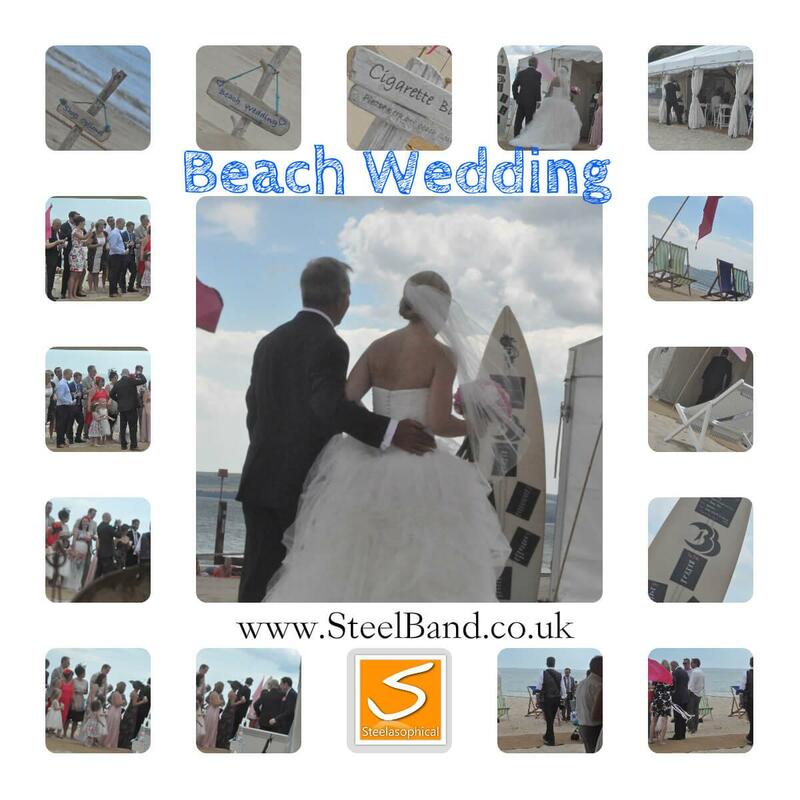 Steelasophical have been performing at this location for more than 4 years; an amazing location which where the sun shines, is truly a tropical paradise! 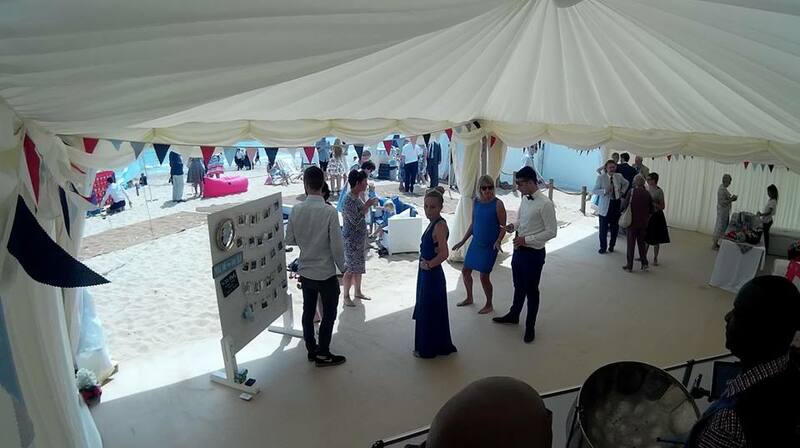 Steel Drummer & Ambient music Dj: 1 – Welcome guests upon arrival, create an amazing atmosphere as they meet, mix and mingle then take to their seats in anticipation of the brides arrival. 2 – The brides grand entrance 3 – Singing of the register and while brief photographs are taken 4 – The bridal party exit lead by the new couple! 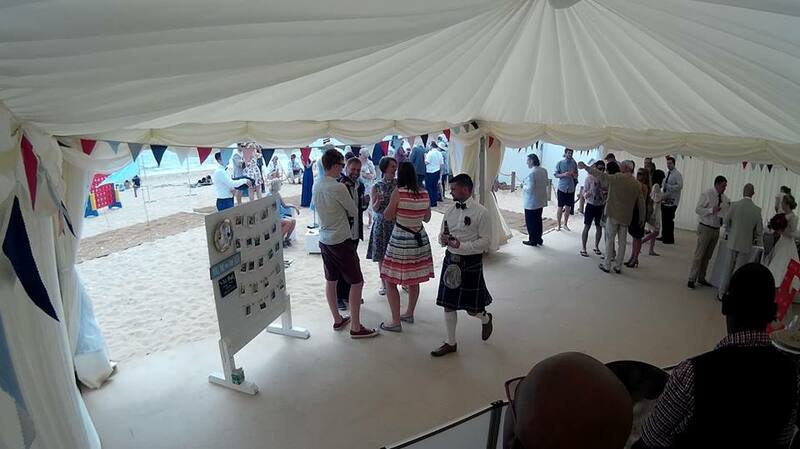 Background Music For Your Drinks Reception: After the amazing high of the ceremony its now the first time to mix and mingle with family and friends as the new happy couple. 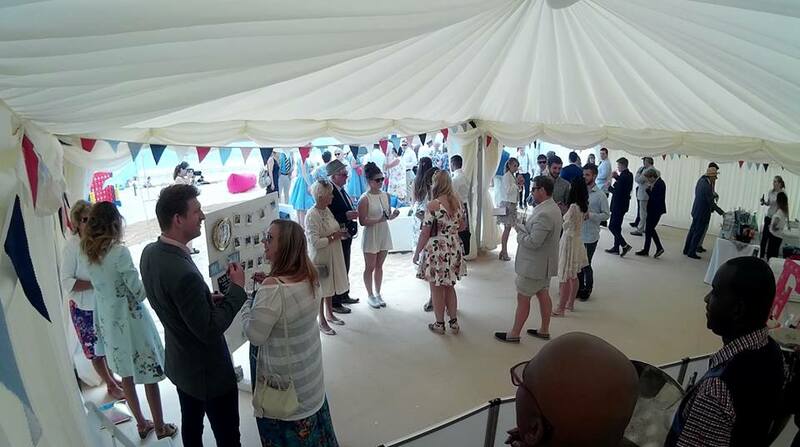 Drinks will be flowing, light nibbles being served and photographs are being taken; what is missing? creating and maintaining the most perfect musical backdrop to bring everything seamlessly together. Trust in Steelasophical do provide that for you! 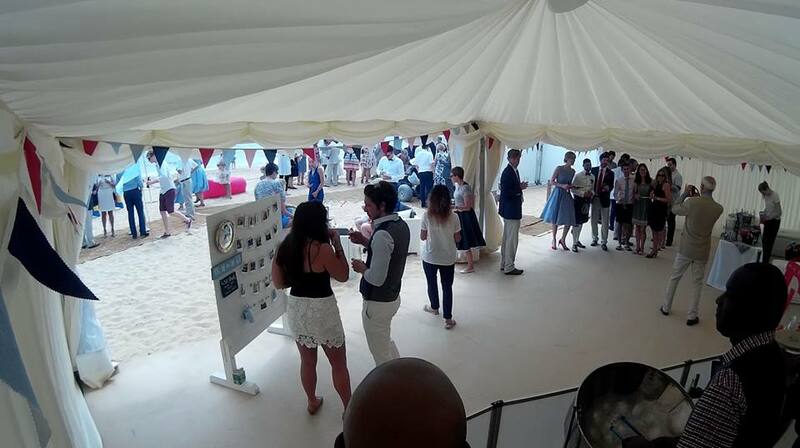 With a combination of our Steel Drummer Soloist / Duo band and Ambient Music Dj, we will create a beautiful uplifting atmosphere throughout your meal by carefully cherry picking wedding music you and your guests will love. From jazz, Gospel, Bolero, Ballads, Reggae, Latin, Motown, RnB, Soul… Its your wedding day, so choose the mood and atmosphere to reflect the mood you would like create. 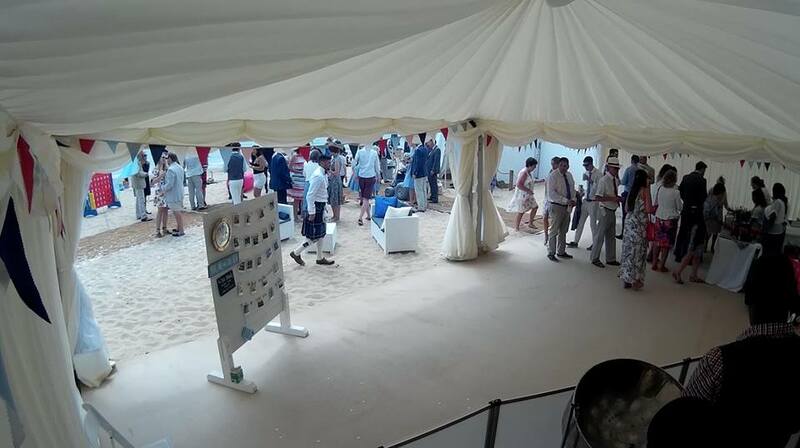 Steelasophical uses the same quality PA system and lighting as top wedding dj’s – let us seamlessly kick off your evening entertainment performing music to welcome the evening guests, getting them up to speed and in the mood, and setting the atmosphere for the fun, dancing and laughter to come. Typically this would be the first 90mins of your evening dance reception. We can even play your first, second and third dance choices and provide a microphone for speeches. 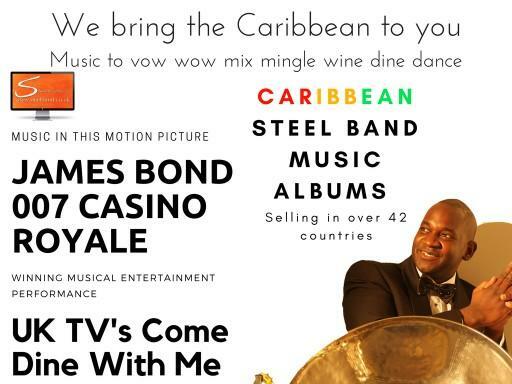 ‘We bring the Caribbean to you’ Steelasophical will transform your evening with our Steel Drum Band, Live Percussions, Vocal Entertainer, Mobile DJ and fun and inclusive interactive dance (Limbo, Follow the leader, Congaline). 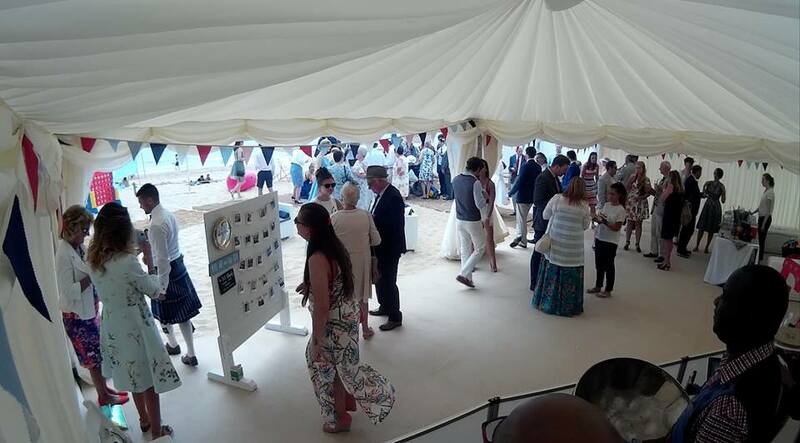 We are happy to work alongside your main band or Dj – brides are also currently booking Steelasophical to fulfil the entire evening entertainment due to the fact we offer so much quality and variety, there is no room for dull or bland periods of time throughout the night. 1 – Welcome guests upon arrival, create an amazing atmosphere as they meet, mix and mingle then take to their seats in anticipation of the brides arrival. 4 – The bridal party exit lead by the new couple! 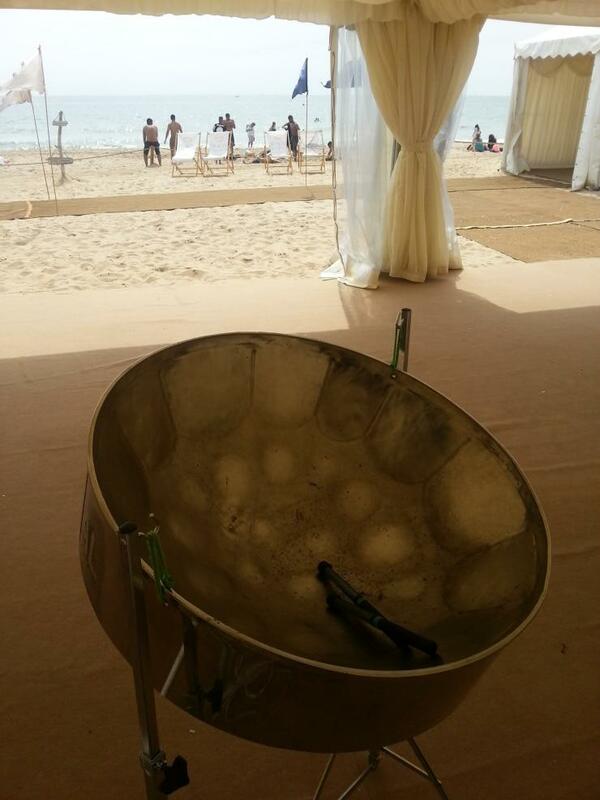 Beach Weddings Bournemouth Steelasophical Steelband. The venue was started by Melanie Kiani, local wedding and event planner and owner of Bellissimo Weddings, in 2011. Melanie had a vision of bringing a unique venue to Bournemouth with a very relaxed and fun atmosphere without clients missing out on great food, good wine and amazing service – things that Melanie is truly passionate about! As of March 2014 Melanie was appointed as a Regional Ambassador (RA) of the UK Alliance of Wedding Planners which aims to promote professionalism in the wedding planning industry and is looking forward to assisting in training and developing the UK wedding industry, so you can be assured you are in the hands of true professionals. 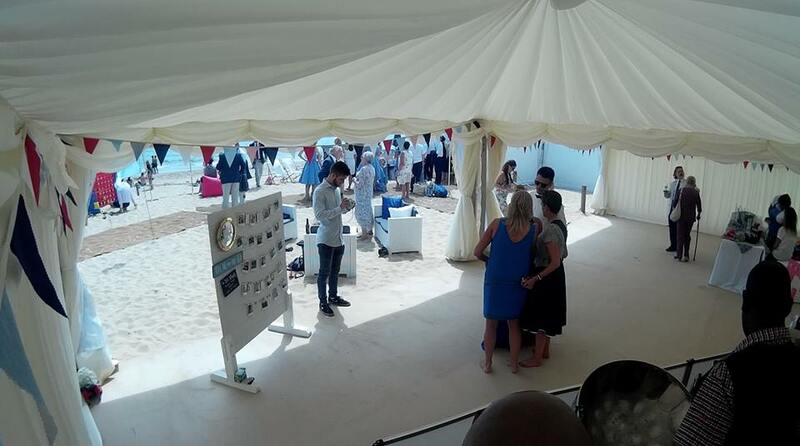 Melanie is backed up by an amazing team – Wedding Manager Julia Holland, Events Assistants Celeste Yeatman and Wedding Assistant Phoebe Tunstill together with an amazing beach crew during the summer season- you won’t find a friendlier bunch! 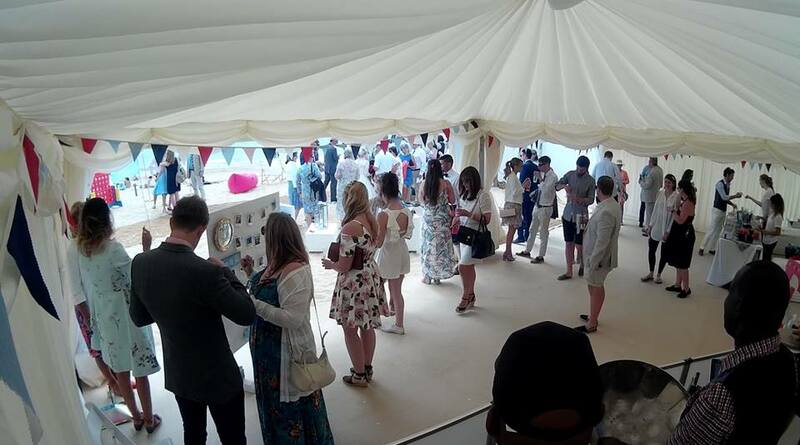 The BWB team will be on hand throughout your booking to help you with questions and guide you along the way and will there on the day to meet and greet your guests, pinning on those last minute buttonholes and calming the nerves, ensure your ceremony goes through without a hitch and then will be around all day to serve your guests will drinks and set up the main marquee from ceremony layout to dining layout. They even pack up things you need to take away with you when you go! At our weddings you will enjoy the fabulous food and service from our in house catering team. Offering you the best local produce that Dorset has to offer and homemade food with a true beach style. Its amazing what they can put together in a beach kitchen! They are here to serve you with a friendly smile and full of beach flair! 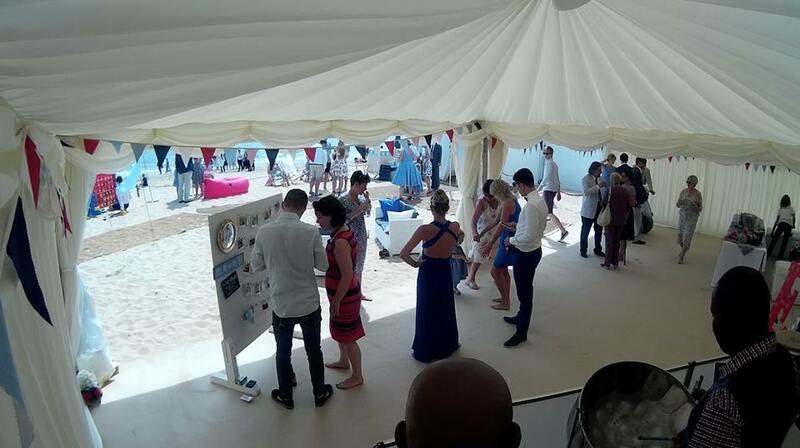 Please ring through to speak to a Beach Weddings Bournemouth Crew member to discuss bookings or for further information. Alternatively leave us a message and we will get back to you as soon as possible. For frequently asked questions please check click here.